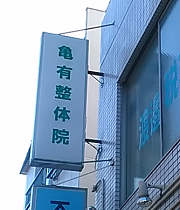 It is manipulative and chiropractic Japanese. Copyright © 亀有整体院. All Rights Reserved.